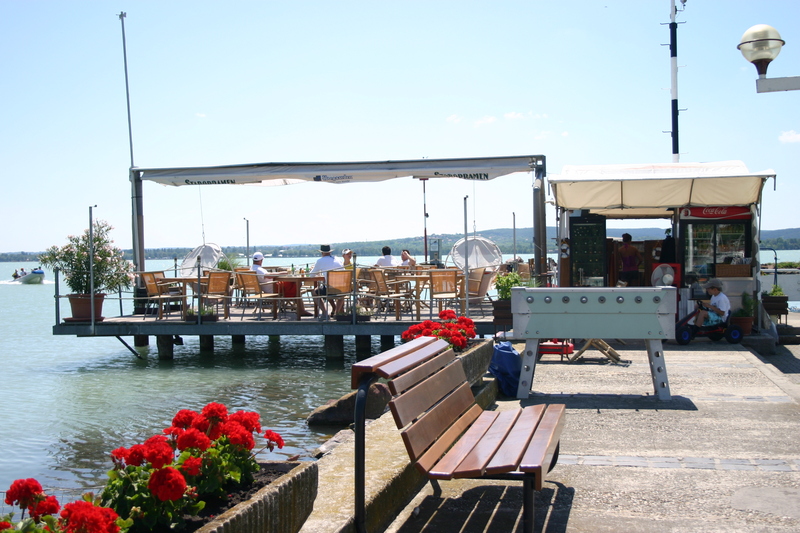 Tihanyi Hajós Egylet (THE) is a marina is located in one of the most picturesque spots of the lake Balaton, in the peninsula of Tihany. Our marina has 70 moorings, each equipped with water and electricity supplies. Parking places, kitchen, bathrooms, meeting room, TV, internet and fax services are staying to the sailor’s disposal. Nearby you can find a few hotels and guesthouses, and different restaurants, most of them with excellent Hungarian and international cuisine. In our marina is a very nice and tidy beach, as well. A bar on the port side helps our guests to enjoy the sunsets over the lake. Plan your next sailing holiday into our marina!!! Our guest’ mooring places are waiting for all kind of sailboats for few week vacations, or just for a short overnight stay. As our port is equipped with crane up to 5 tons, you can bring your own boat to us. 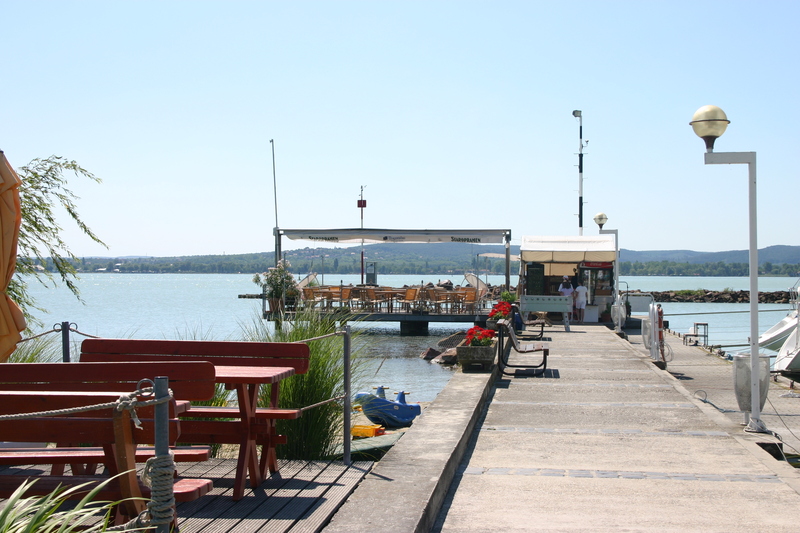 The marina is ideal as a starting point for a Lake Balaton sailing-tour: if you bring your own boat, we cran it to the water, and store your car and trailer in our guarded facilities. For longer than an overnight stay prior booking is advised. Take road ’71 from Balatonfüred towards Keszthely. About 5 kilometers after Balatonfüred follow the sign to Tihany-komp (Tihany ferry). You take that magnificent road on the lake side, and will find THE marina in about 6 kilometers on your left. If you reach the ferry port you passed our marina by 800 meters, so better turn back. 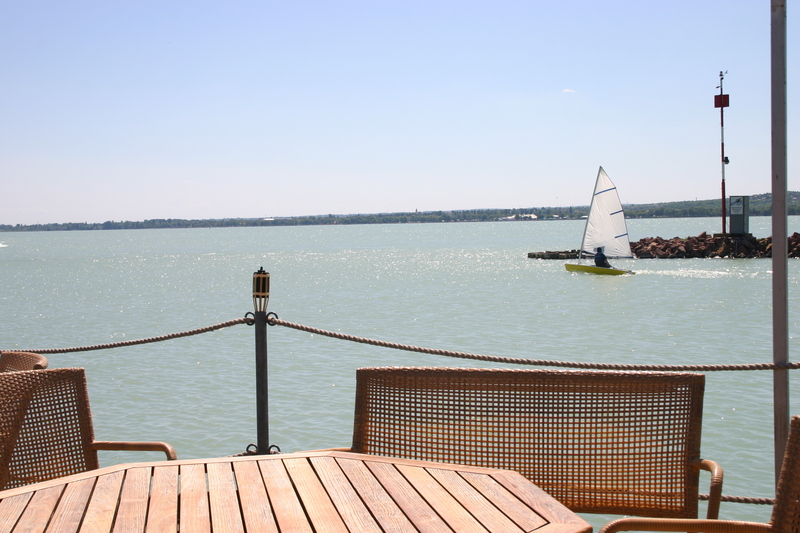 The sunny terrace stretching out to the water offers a magnificent view of the Lake Balaton, and the Tihany peninsula. The bustling life of a yacht marina puts you in the mood. Fine meals and wine complete your satisfaction. THE BAR is the perfect place to be on a summer afternoon! This is where yacht owners of our marina socialize; where all the chatter takes place after a regatta. More and more charter sailors choose THE BAR to take a few hours’ breaks and have a delicious breakfast, lunch or dinner. Around sunset, people instinctually move their chairs to face the breathtaking view. This is the time to lay back, relax and enjoy the scintillating lights, the silence and the gentle breeze over the lake. We can not reserve the three quest mooring places next to the Bar.